“Wow. 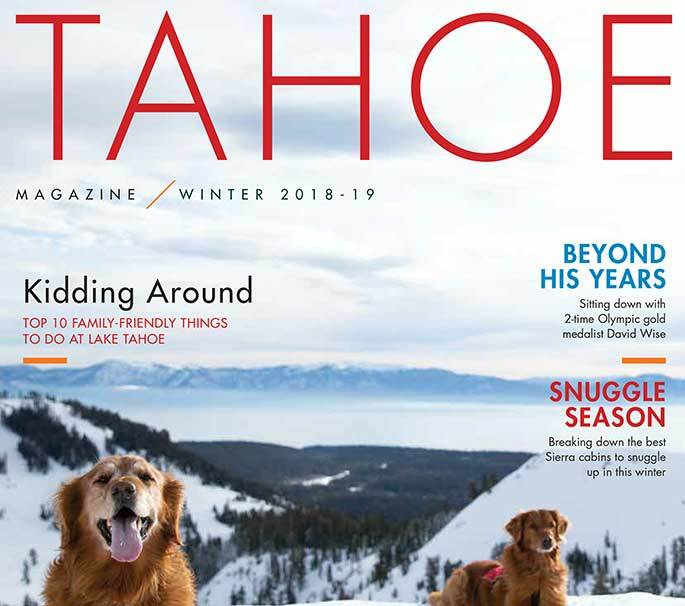 It’s small,” I say, skeptically, as we walk across the tarmac at the Lake Tahoe Airport toward Rob Lober’s two-seater floatplane. His SeaRey is amphibious, so with its wheels down, it can land on a runway, but when they’re tucked at the side of the plane, the aircraft can glide on its hull into the water. The longtime Crystal Bay resident started flying nearly 40 years ago. He got his floatplane rating in 2004, on a whim, as part of the mandatory training to keep his pilot’s license. Two years later, he purchased his first floatplane. Lober flew from Truckee Tahoe Airport in Truckee where he keeps his plane — the lake is too rough to dock it permanently — to the airport in South Lake Tahoe to pick me up. 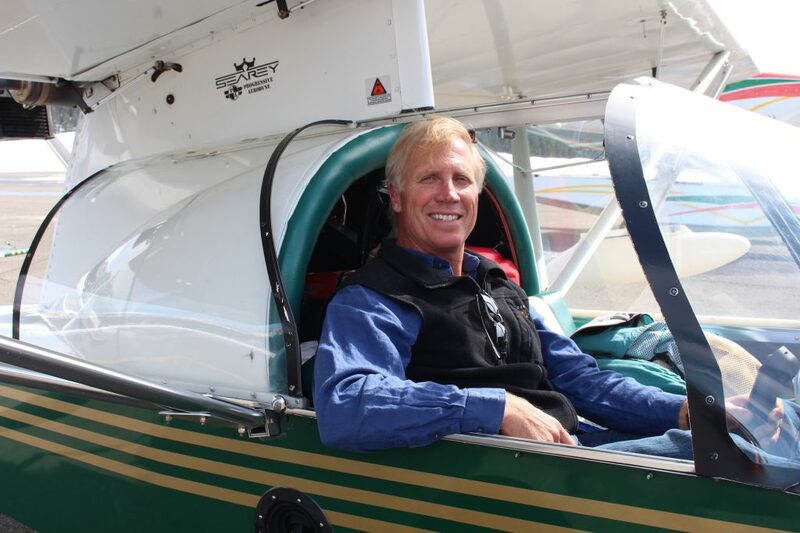 He’s the Nevada Field Director for the national Seaplane Pilots Association. “My main role with the association is advocacy,” explains Lober. “We’re losing lakes. It’s now getting to the point where it’s almost impossible to fly a floatplane across the country unless you have amphibious landing gears. While some might assume that the Federal Aviation Administration has jurisdiction over landing areas, including those on water, authority lies with the person or organization that “owns” the waterway. 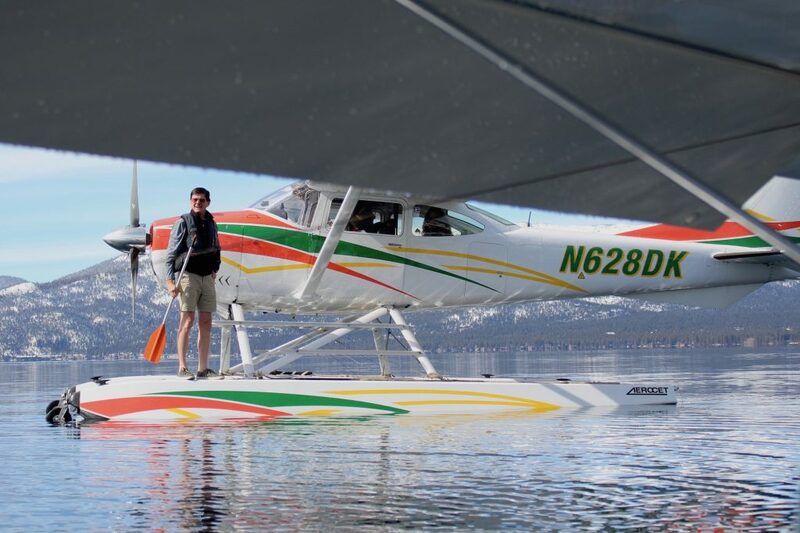 Northern California and Nevada, including Lake Tahoe and many surrounding lakes, remain mostly open to floatplanes. 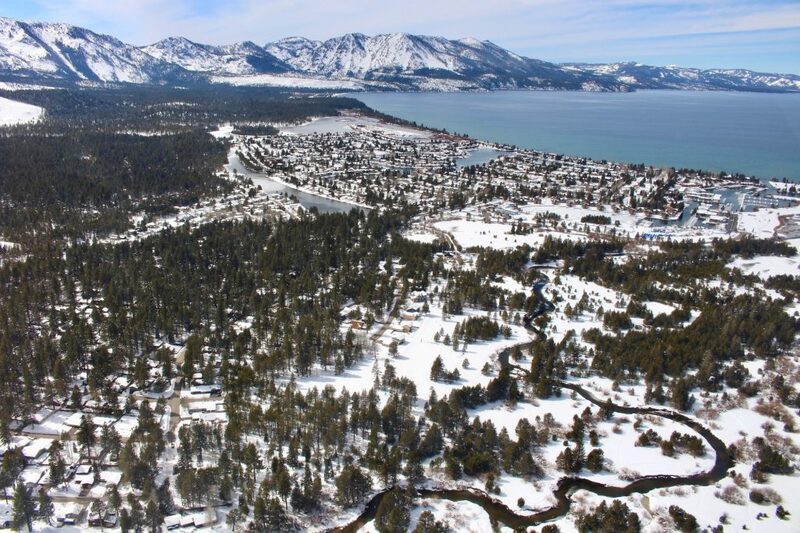 The Tahoe Regional Planning Agency allows private planes to land anywhere on the lake, but commercial operations are limited to dropping and picking up passengers from a stretch near Homewood on Tahoe’s West Shore that’s grandfathered in. Currently there are no permitted commercial operations on the lake, according to the TRPA. Fellow floatplane enthusiast and Gardnerville, Nevada, resident Pierre Redmond pulls up behind us on the runway in his Cessna 182 on floats. Lober rattles off a message to air traffic control, and we’re on our way. Leaving the ground behind us, we soar above the distinctive lagoons of the Tahoe Keys before flying out over the giant cobalt lake. It’s a bluebird late-winter day at Lake Tahoe, and Redmond’s Cessna, which has a more powerful engine, soars past us on the way to Emerald Bay. 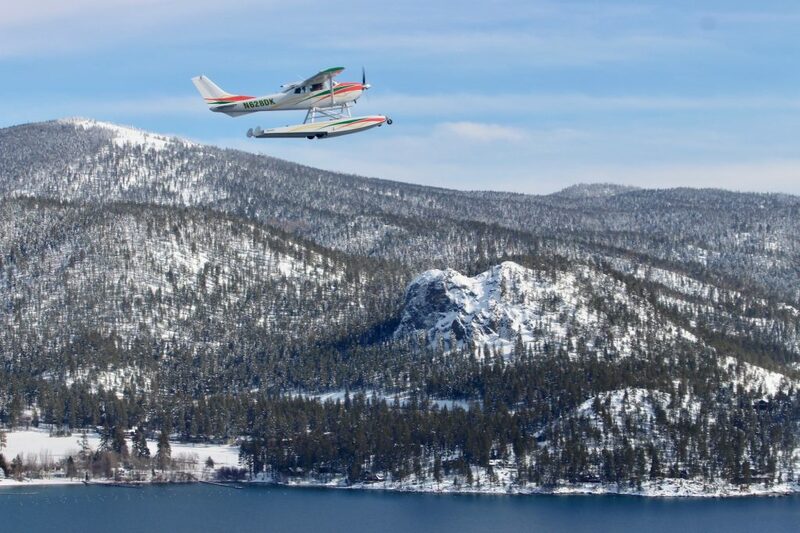 Flying at Lake Tahoe’s altitude presents a challenge for many aircraft. “There are a lot of planes that can’t make it up here because of the altitude. For floatplanes, weight and power are everything,” Lober told me days before on the phone — while apologetically asking my weight. The difficulty — and cost — is part of the reason there are just a handful of floatplane pilots in the region. “There’s about five of us that live in the area. We like to get together and have coffee over at Sugar Pine Point on a calm morning,” says Lober. Floatplanes have a long history of flying — though not always successfully — in the Tahoe Basin. 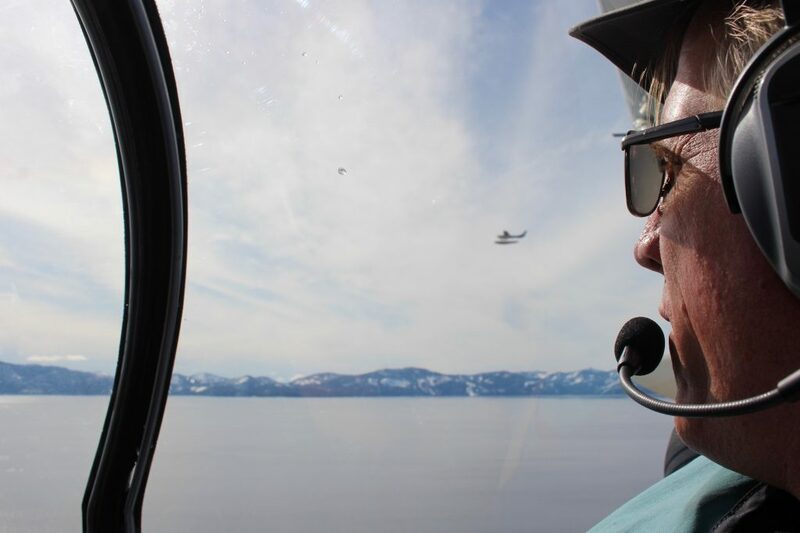 The first floatplane pilot in recorded history landed on Lake Tahoe in 1919, according to historian and author Carol Van Etten. But after several days of calm waters and failed attempts to take off from the suction of the glassy surface, the aircraft was taken apart and driven back to the Sacramento Valley. In the mid-1960s, Mike and Lois Brown bought out Stetson’s business, renaming the company Cal-Vada Aircraft. Over the next few decades, the Browns operated the airline out of Homewood — the area that would eventually be grandfathered in by the TRPA for commercial floatplane use on the lake. 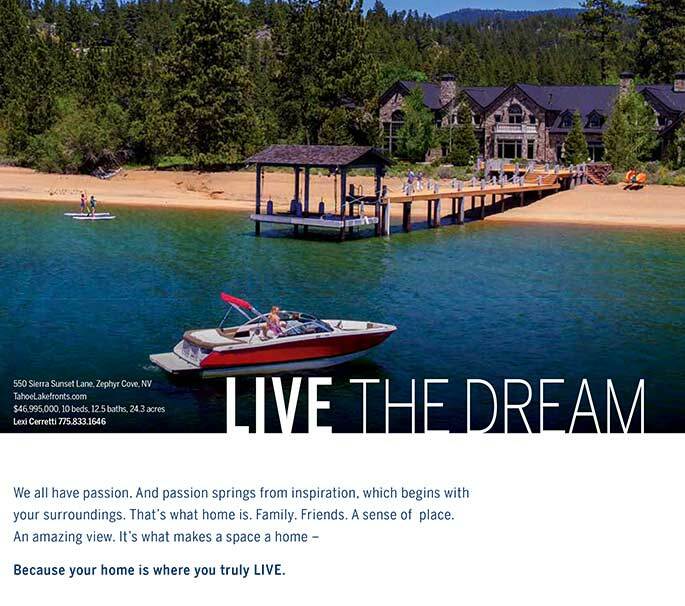 Business magnate Howard Hughes and multi-millionaire George Whittell were among the private owners of floatplanes landing on Lake Tahoe and traveling to waterfront homes. 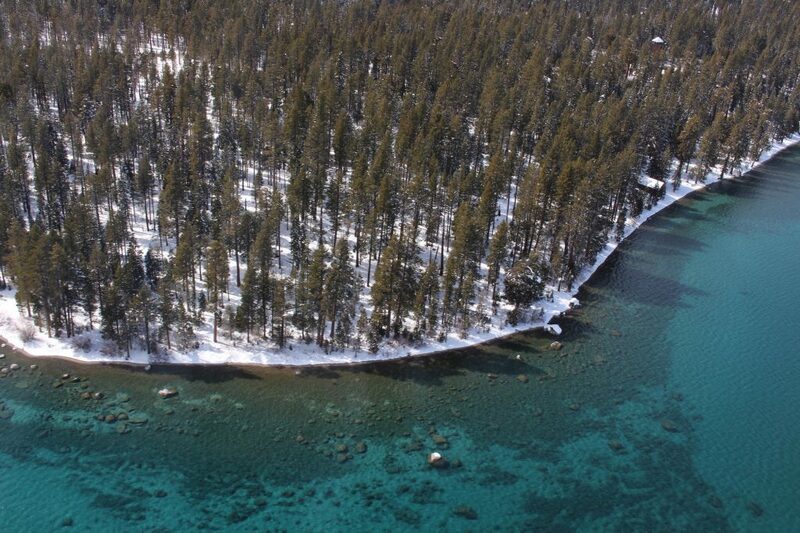 After rounding the lake at Crystal Bay at Tahoe’s northern point, and heading down the east shore — in a complete state of awe, I must add — Lober suggests we land near Whittell’s mansion, Thunderbird Lodge. From inside the tiny cockpit, I watch as the water gets closer and brace for impact, only to find the lightweight plane smoothly glides onto the water near the gigantic stone house with ease. We open up the plane’s windows, and I reach down to run my fingers through the water while watching Redmond land his plane nearby, hop out onto the floats and paddle his way over. A few summers ago Redmond took his plane on a four-week trip to Alaska. 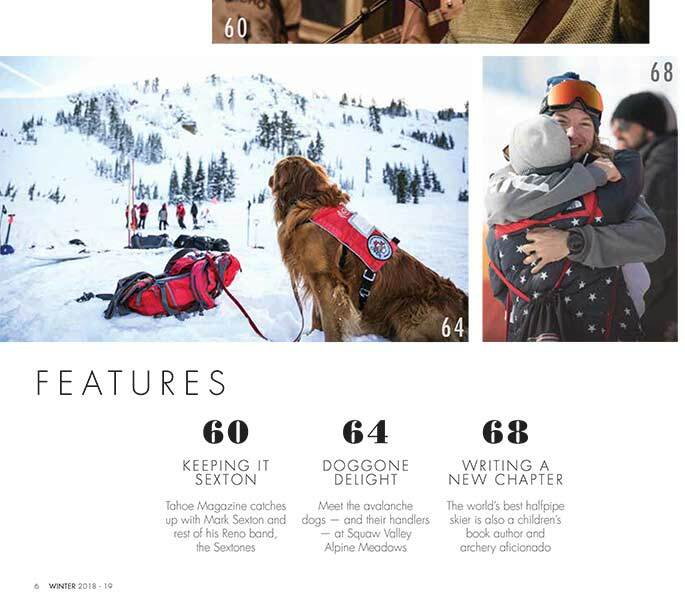 He flew around Mount Denali, staying in otherwise unreachable cabins in the remote wilderness. Last year he landed on a reservoir in Oregon to watch the total eclipse without the mob of people. After a few minutes of floating in silence, save the occasional click from my camera, Lober starts up the plane and we begin to motor across the surface of the lake, gaining speed. Almost imperceptibly, Lober pulls us up off the water and into the sky. With miles of shimmering blue water below us, I can only hope that this treasured tradition lives on in Lake Tahoe. 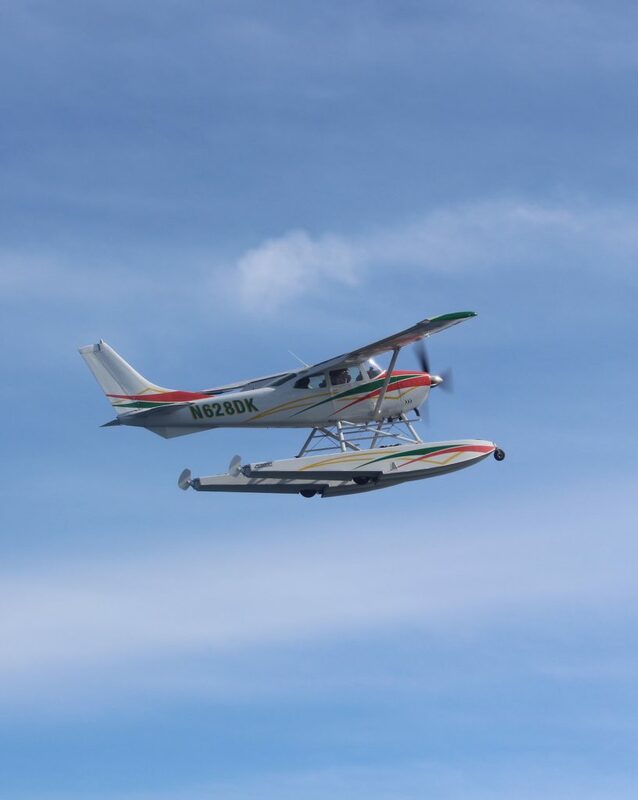 The Seaplane Pilots Association conducts seminars across the country to teach its pilots how to prevent transportation of invasive species between different bodies of water. 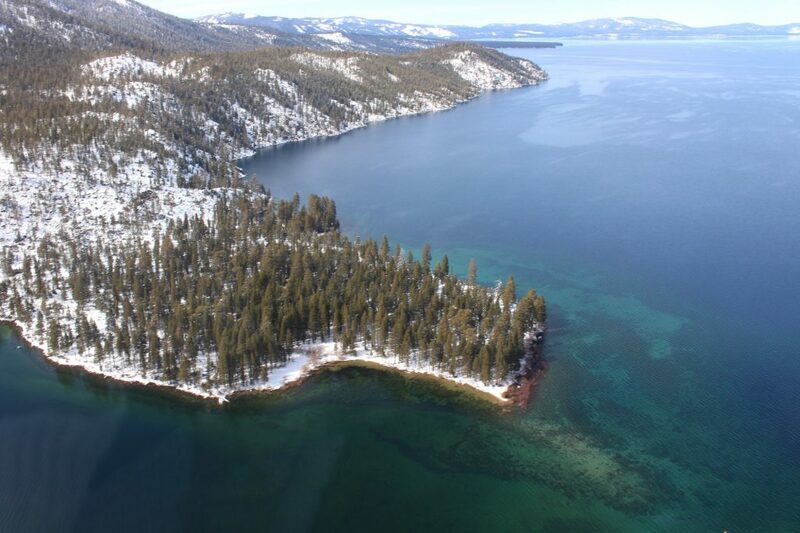 Agencies around the basin are currently working to eradicate damaging non-native flora and fauna, like Eurasian watermilfoil and Asian clams, from Lake Tahoe. While all boats must be inspected and tagged prior to entering Lake Tahoe, floatplanes are not required to be inspected prior to landing. 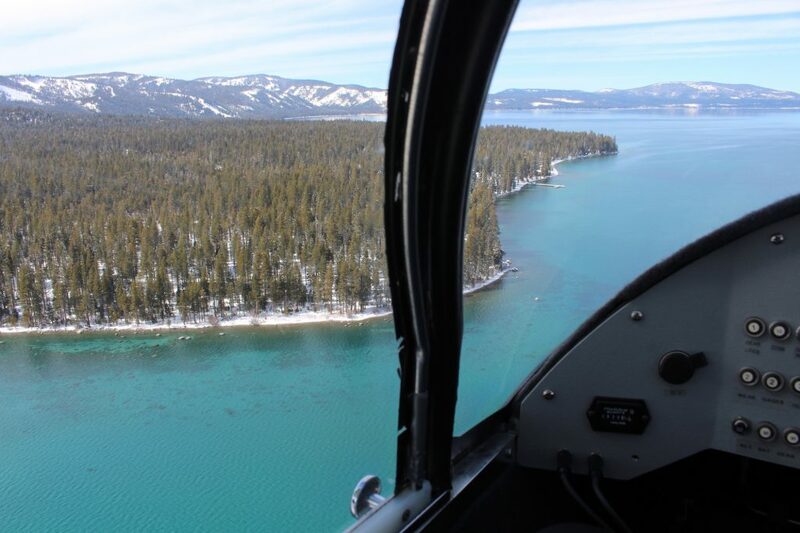 “All seaplanes are subject to aquatic invasive species inspections and decontaminations at Lake Tahoe, but at this time they are not required to be inspected for aquatic invasive species before landing on Lake Tahoe,” said Tom Lotshaw, TRPA public information officer. Prior to taking off, however, the Seaplane Pilots Association (seaplanepilotsassociation.org) requires its members inspect and remove all vegetation from the craft and its dock lines. They must also ensure all hulls are pumped dry, and rudders and wheels are clear of any debris. “By employing these proven methods, seaplane pilots and owners are able to self-certify that their aircraft are free and clean of nuisance aquatic organisms,” according to the association.